Prior to their appointments to the Board of Trustees of the Westhampton Free Library on October 30, 2015, Tom Moore, Barbara Matros and Susan Rosenberg never attended one Library Board Meeting. Prior to their appointments on February 16, 2016, neither Eric Mirell nor Robert Santucci ever attended one Library Board Meeting. In addition, it has been stated by newly appointed Board members publicly at the meetings that: we had no idea what was going on at the Library until we opened The Press; we didn’t know what we were stepping into; we’re so new give us time; we have other priorities such as the union contract and pending litigation that we can’t even think about the elected board issue until whenever. Every month beginning last July 2015 many taxpayers–some new each month, some the same–have attended the Board Meetings requesting that the Board vote to amend the bylaws to allow for the election of trustees. Taxpayers have sent emails to the Board, written a Viewpoint piece in The Press, submitted Letters to the Editor, distributed flyers in the Village, and established both a website and a Facebook page simply requesting the right to vote. Did the Board do its due diligence? Did the Board hold a public forum openly inviting taxpayers to discuss an elected vs. an appointed board? No. Instead, the Board put forth obstacles basically unrelated to the right to vote for library trustees. The union, NY civil service law, prevailing wage law and public works, and the NYS retirement system are non-issues that they chose to use to confuse the situation. Our Library can easily follow the successful models of other association libraries with both elected boards and unions and retain its private status if the appointed Board so desires. 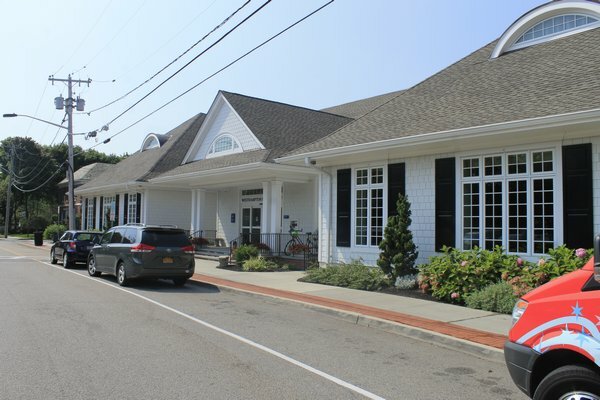 Ignoring the voices of the taxpayers, by decree, and with smoke and mirrors, a newly appointed board stunningly disenfranchised the Westhampton Free Library taxpayer. They have hijacked democracy.